Setting up and preparing to rehearse. From the Green Room: the hospitality was outstanding, and we could monitor the performance from the live video feed. Post-show infinity mirror self portrait (missing: Anna Roberts-Gevalt). Such a great ensemble of musicians! 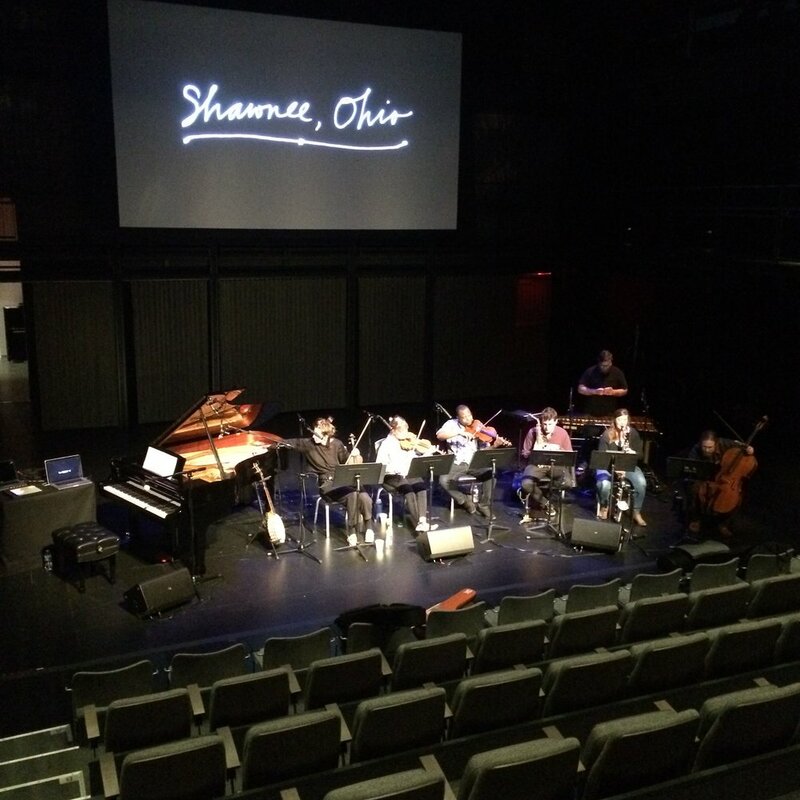 Two performances of Shawnee, Ohio on October 26 and 27, 2018 (exactly two years after its premiere at the Wexner Center for the Arts). We performed at the Rubinstein Arts Center, and it was part of the Duke Performances Series at Duke University, North Carolina. Duke Performances was one of the co-comissioners of the project, along with the Wexner Center and Contemporary Arts Center, Cincinnati.